Pampering yourself is one of the biggest joys of womanhood! We love pampering skin treatments to look our best. One such treatment is facials. 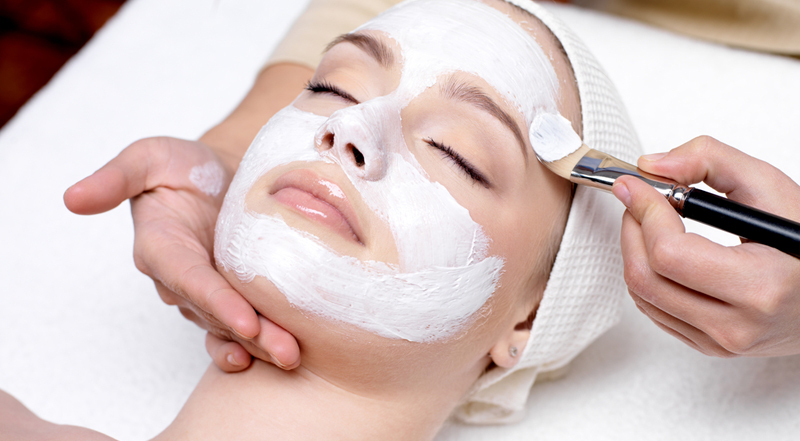 Facials are actually skin treatments which help to cleanse your skin, hydrate it and also rejuvenate it. A basic cleanup is the very first step before proceeding to facials. It includes removing of dead cells and prepping your skin for the next intense step. Basic cleaning is generally recommended if you have never tried any skin treatment before. A basic cleanup helps to remove the blackheads and whiteheads from the face, reduces tanning and also removes dirt from the skin. Normal facials are basically a simple cleanse and massage affair. The only different between a basic cleanup and normal facial is your skin is massaged for longer time in normal facial as compared to the basic cleanup. Due to longer time of massage, normal facial can help to give you glowing and healthy skin. This facial involves using paraffin-based face mask and cream that helps to hydrate the skin as well as reverse the signs of ageing if any. Also, paraffin facial helps to give you radiant-looking soft skin. These facials are specially targeted at sagging skin. As the name suggests, it gives you a facelift! Your skin is toned and firmer and more even looking after each treatment. Acne facial is generally for those dealing with acne and pimples. In this treatment, your skin is cleaned first; then glycolic acid exfoliation is done which is followed by manual deep pore extraction and an anti-bacterial mask. In this facial, massage is not a priority, as it becomes really difficult to work over troubled or acne prone skin. It is recommended to go for acne facial twice in a month for improved results. In this facial, the prime ingredient used is an essential oil which helps to relax your mind as well as body. Aromatherapy facials help clear skin congestion and improve the normal functions of the skin. The essential oil in the products helps to uplift your skin as well as helps to remove the toxins from the skin. Anti-oxidant and pollution-fighting facials contain elements that help to fight against the dirt and germs settled over skin. This facial is generally recommended for people who spend most of the day in pollution and have to be outdoors. The cream and mask used in this facial are enriched with free-radical fighting agents like vitamin A, beta-carotene and vitamin E that help to remove the dirt and germs easily. Collagen facial uses a multi-phase technique of exfoliation, warm vapor, deep pore cleansing, lymphatic drainage massage, and self-heating mineral or paraffin masque over a freeze dry collagen sheet to ensure the ideal hydrating effect. This is an effective preventative treatment against harmful environmental damage, wrinkles and dark circles and is recommended for all skin types. There are various vital nutrients present in the cream that get absorbed in the skin easily. Sensitive skin faces problems like redness and severe pain which at times can be very painful. With this facial, all such problems can be treated and cured. This facial repairs the skin and reduces the redness and increases the resistance power of the skin. Great compilation! I like aroma therapy facials! Nice article Rima. I would like to try aromatherapy and antioxidant facials. Any idea which aroma oil to be used for oily skin? I am currently using Lotus Pearl Facial kit which is really helping in improving my complexion and fading out my acne marks. Informative post about facials. I never had one just had a basic cleanup which felt good.